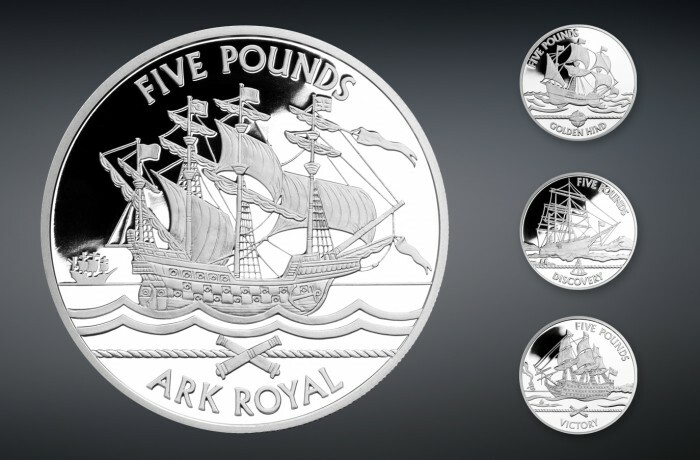 This twelve-coin series of coins celebrates famous ships through history. In developing the concept we proposed grouping the ships into four sets of three, with an appropriate icon identifying each group. As well as creating additional numismatic design interest this device allowed for more flexible marketing options. Each of the designs were traditionally modelled in plaster by Michael Guilfoyle.